It’s a contradiction: Americans elect all of their officials through the popular vote—but they do not elect their presidents and vice presidents that way. 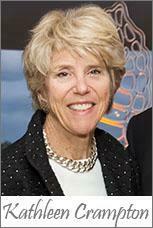 The League of Women Voters believes it is time to change that, and there's a bipartisan way to do it-- legislation called the National Popular Vote Interstate Compact (NPVIC)--an agreement among states to award all their electoral votes to the candidate who wins the popular vote in all 50 states and the District of Columbia. The bill operates at the state level, has no impact on the U.S. Constitution, and therefore does not require a constitutional amendment. It instructs electors to vote for the winner of the national popular vote rather than the winner of the state popular vote (the so-called ‘winner-take-all’ practice). NPVIC has already become law in eleven states and the District of Colombia., and the League wants it to pass in Florida. Meanwhile, many other states are considering it because NPVIC honors the electoral system and states' rights to instruct their electors in any way they see fit; according to Article II Section 1 of thee Constitution “each state shall appoint, in such Manner as the Legislature thereof may direct, a Number of Electors…” The National Popular Vote would make every vote count--honoring the votes of all Americans and thereby decreasing the disproportionate power of a dozen battleground "swing" states, representing only a small percentage of Americans. Most importantly, it would make the electoral system consistent with the will of the American people, guaranteeing that presidents of the United States have the support of the majority of Americans who vote for them. Breaking News! Colorado has just passed NPVIC legislation as of February 21! No wonder the NPVIC initiative is gaining traction—it’s on its way to become the law of the land. For the compact to kick in, enough states have to adopt the bill to total at least 270 electoral votes. So far the compact has 181 votes, including 12 states and the District of Columbia. If NPVIC passes in Florida the initiative would gain 29 more votes. Passage of NPVIC would align the electoral system with the will of the American people for the first time in our nation's history. NPV meets monthly, Saturdays at 11:00 a.m. Email carchbold1@gmail.com to confirm time and place. 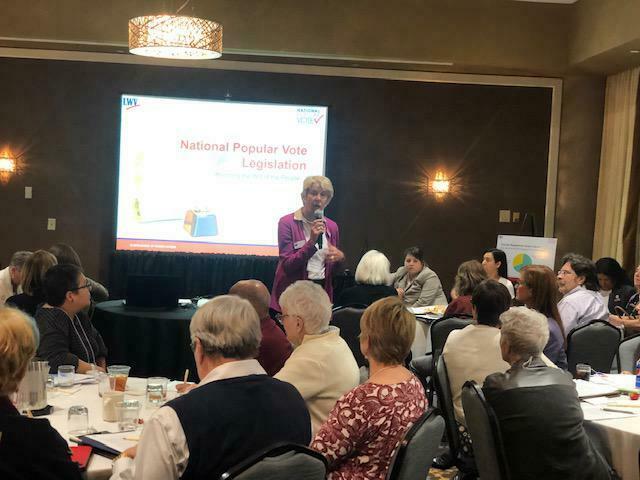 For the first time ever, National Popular Vote chairs from LWV chapters across Florida gathered in Orlando January 18 for a special statewide workshop organized by LWVFL NPV Chair Kathleen Crampton, her team, and Chair Coordinator Marcia Herman. More than sixty NPV leaders met to brainstorm strategies to promote the National Popular Vote Interstate Compact. 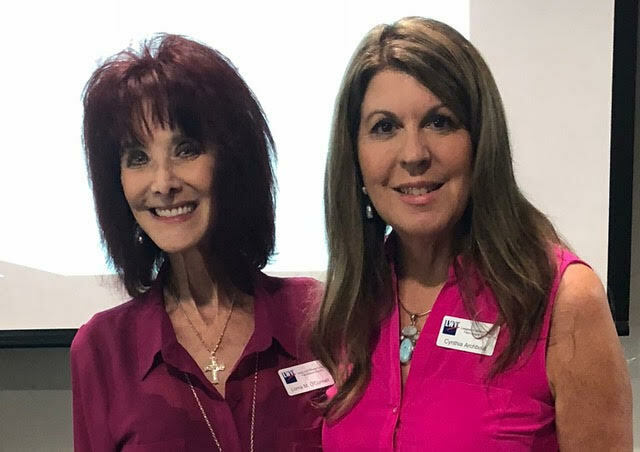 This took place in an interactive morning and afternoon session the day before the LWVFL's Leadership Conference, "League Rising." The ultimate goal is to pass NPVIC legislation in Florida. 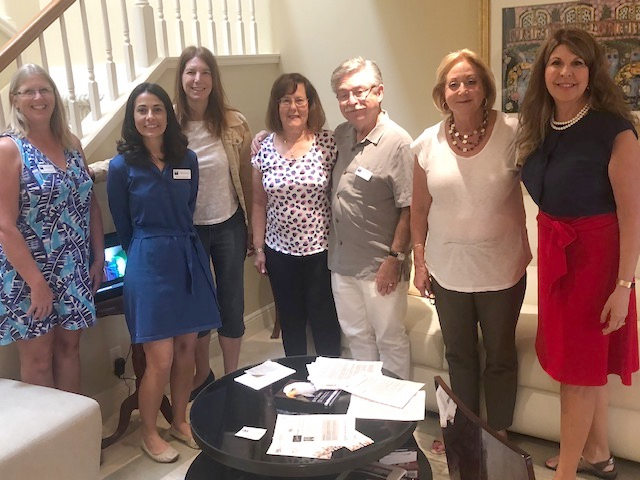 We are the advocates for making every vote count in Florida and across the nation! It’s true! National Popular Vote legislation is neither liberal, nor conservative but bipartisan, supported by many prominent Republicans and Democrats. In fact, polls show that a majority of Americans of both parties support the National Popular Vote and have done so for decades. Learn More! Subscribe to our Publications! Welcome to the first NPV Update of 2019! We are looking forward to a robust year, and as always, please let us know if you have any questions -- or if you have any items you'd like us to include in our next update about what you're doing! On January 23, 2019, the Colorado State, Veterans, & Military Affairs Committee held a public hearing on the National Popular Vote bill and voted 3-2 to approve the bill. A total of 72 people signed up to testify. On January 25, 2019, the New Mexico Judiciary Committee held a public hearing on the National Popular Vote bill and voted to approve the bill. The bill now goes to the House floor.